FO: Ravenclaw Socks | Stitch, Brinn, Stitch! As promised, here is an FO post! Pattern: They’re toe-up socks. Short-row heel. There isn’t a tremendous amount to say about these socks. 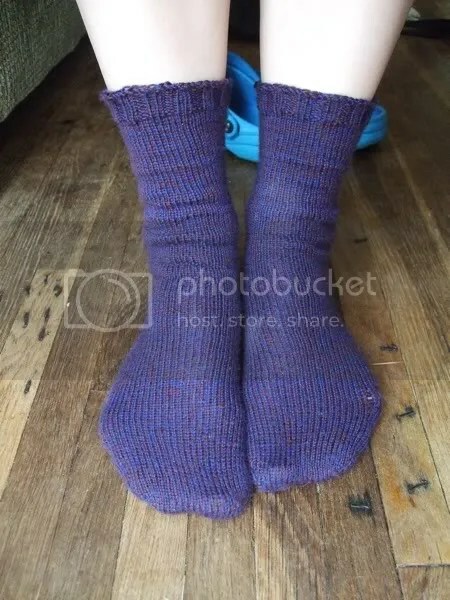 They fit pretty well and used surprisingly little yarn–I have about 40g left over, which is enough to make an entire pair of anklets at least. 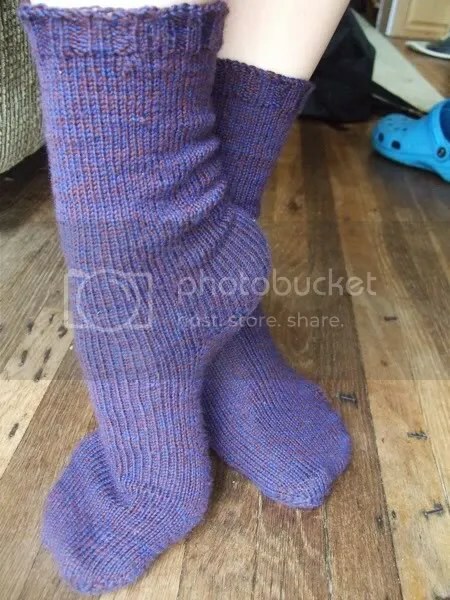 This is possibly because I didn’t make them as tall as I could have, but there comes a point where I get tired of knitting the legs of socks and decide they’re done. 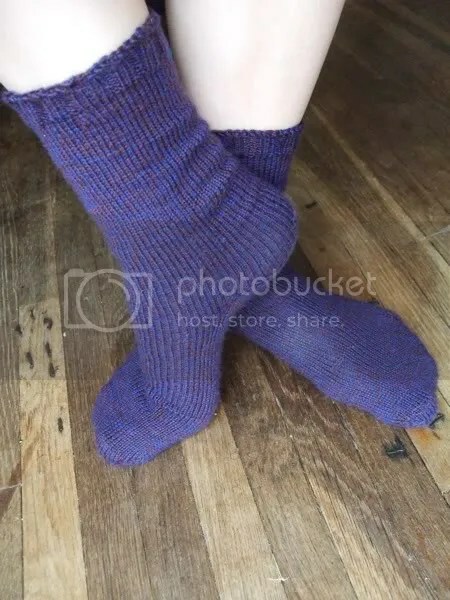 This is why I should knit socks cuff down–In the beginning of the socks, my knitting mojo isn’t spent knitting the foot and I can knit plain round rows longer. Then there’s the heel (fun) and then the foot has to be so long so my foot fits in it–there’s no halfway. So that’s my sock philosophy, so to speak. 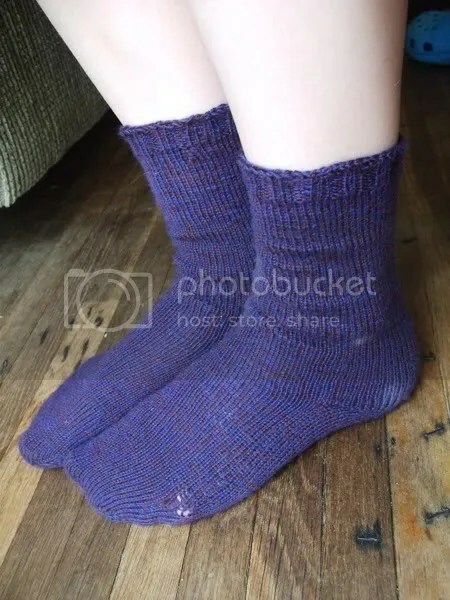 Plus I haven’t quite figured out the toe-up flap/gusset heel, which I think fits a lot better than the short row heel I put into toe-up socks. Clearly I need to make more of Wendy Johnson’s patterns, which are usually toe-up and include a flap heel.